Send an email to Anton Bastiuchenko Please fill in this quick form to contact our expert directly. Infopulse continues our set of tutorials, dedicated to building solutions with Microsoft open-source cross-platform technologies stack together with Docker. Let’s have a closer look at each of these steps. While we could use an on-premises SQL Server, we want to make our proof of concept more appealing, portable and relevant to modern challenges. That’s why we will move our MS SQL database to Azure SQL Database. First, log in to Microsoft Azure Portal. If you don’t have a subscription, you can start a trial one. Now create a database where you intend to store data – check the screenshot below for an example. Please note that in “Server” field we selected the server name, which we created previously as seen on the screenshot above. Finally, our database is ready for use, however, it’s still empty. 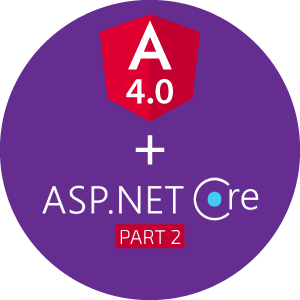 Let’s go to our NET Core + Angular 4 application, which we created in the first part of our tutorial. In the previous version of ASP.NET, you were probably using web.config to store connection string. The appsettings.json file is an analog of the web.config file in .NET Core. It may seem complicated to assemble a connection string in order to connect to Azure Database but Azure helps us with it. and run dotnet restore to download these packages. Now let’s move to the next step. We should prepare POCO classes for our Entity Framework Code first model. We’ll skip writing an amassment of code for these classes – just download the code from our Git Repository. As a result, a “Migration” folder was created. If we open the database now, we’ll see the new tables created after execution of this command and corresponding to the POCO classes. Please note that you don’t necessarily need to start the database development from Code First classes. As an alternative, and if you already have a database, you can do a reverse engineering of an Existing Database as shown in Microsoft sample. We created tables in our test database and it’s high time to put some data in there. Now, let’s deal with our back-end. where rm.Position == "Software developer"
In the GetAllEmployees method, we run a LINQ to SQL query to make all employees involved in any project labeled as “Software Developers”. Now we are ready to create a front-end part of our application based on Angular 4 to display received data. Download “employees” and “models” folders with Angular 4 code from the Git Repository and add them to app folder. Now let’s move your app to the Docker container. But first, we need to go through some basics. Docker is a software to automate the deployment and management of applications in the virtualization environment at the operating system level. In other words, Docker is a “sandbox” for your application. Most resources refer to Docker as “a platform for containers”. If you haven’t worked with Docker before, it may be difficult to understand the concept of a container. Let’s assume that you’re at least somewhat familiar with VM concept. As you can see in the example above, the main difference between VM and Container is that the container doesn’t have a guest OS as a layer. VM cuts out the memory of host machine for own needs. Container shares memory with your host OS. Eventually, the container is much more lightweight than VM. However, if you need a totally isolated OS, you should use a VM. If you are ready, let’s jump to making a Docker container. A Dockerfile is a script, containing a set of commands required to setup a container. Docker platform uses this file to assemble a Docker image when you run a Docker build. To create a Dockerfile, you will need to create a text file with exact “Dockerfile” name and remove the file extension. 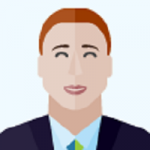 FROM instruction sets microsoft/aspnetcore:1.1 image as the base image for subsequent instructions. This instruction starts pulling microsoft/aspnetcore:1.1 image from the Public Repositories, but you can use any other image from any repository as a starting one. Please note that the digits in the microsoft/aspnetcore:1.1 are a “tag”, showing us the version of .NET Core, which we used in a container. You might be using a newer version of .NET Core, hence the tag can be different. ARG instruction sets a variable that users can pass to the docker build command. In the file above, we specified a default value for this instruction. WORKDIR instruction sets the working directory for ENTRYPOINT and COPY instructions, which we use in our Dockerfile. EXPOSE instruction informs Docker that the container listens on the specified network ports at runtime. In our case, we are listening on Port 80. COPY instruction copies directories or files and pastes them to the filesystem of the container. We’ll copy the files from the directory, where the Dockerfile is stored, to the root of the container. ENTRYPOINT instruction adjusts a container to run as an executable. In our instruction, it’s the same as dotnetdll in .NET Core CLI. Now, our dockerfile is stored in the root of the project. However, according to the ENTRYPOINT instruction, Docker has to execute Ng2AspCore.dll. We can copy the Dockerfile to the target folder, which contains the expected .dll file OR change WORKDIR or COPY instructions. In the following example, we’ve selected the first way. To copy the Dockerfile automatically after each build, let’s change the behavior of Dockerfile within the project. The dll and Dockerfile files are located in this directory. where “bin\Debug\netcoreapp1.1\publish” is the path to the Dockerfile and “-t” is the name of the container. where “-it” places an interactive tty (a text input-output environment like a shell) to the Docker container; “-p” binds to Port 80 (the port we defined in the EXPOSE instruction) of the container to Port 8123 on localhost of the host machine; and “-d” starts the container in detached mode. This means that the container exists while exists the root process, which is used to run the container. Finally, we’ve built our Docker container and it’s up and running. You can check its status by executing the docker ps command. Now let’s check it’s status – go to http://localhost:8123/ where Port 8123 is the one, which we previously defined in Docker run command. Now we need to put our freshly created image to the Docker hub (a set of repositories). Go to https://www.docker.com/ and sign in or create your account. Docker hub is similar to GitHub repository. You can place your image on the hub and use it wherever you want. Now, one more step left – moving all that to Azure. Our application was working locally. Let’s run it in Azure to make it available anywhere. Enter your Web App name, press “Configure container” and select “Docker Hub”. We pushed our image to a public (free) repository, so we selected “Public” option on the screen below. You can also select a private repository in the previous step. You can find the final version of this proof of concept in GitHub repository. As always, feel free to comment or contact us if you have any questions. In the next part of our tutorial, we are creating an ASP.NET Core + Angular 4 application with the connection to MongoDB in Ubuntu and talking about interoperation between Docker containers. ASP.NET Core is a Microsoft open source cross-platform framework for creating web- and cloud-based server applications. 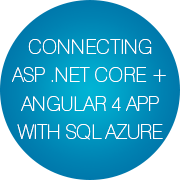 It was born from a substantial re-design of ASP.NET to become an amazingly fast and modular tool for app developers.